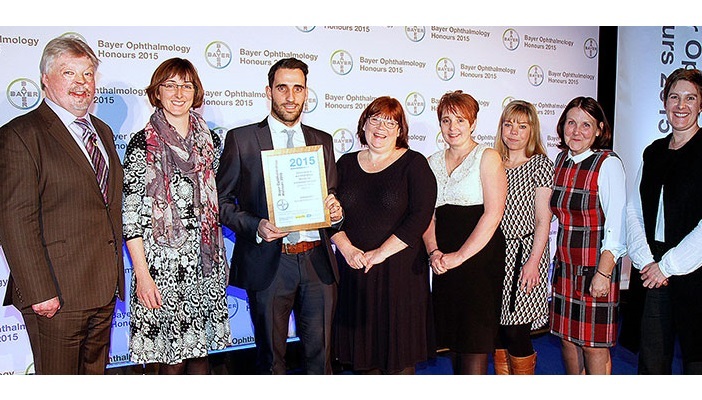 For the second year, Bayer, the multinational chemical and pharmaceutical company, is holding the Ophthalmology Honours awards programme. These awards recognise and celebrate the outstanding work being carried out by multidisciplinary teams in ophthalmology throughout the UK. Supported by RNIB and Visionary, the awards will identify exceptional initiatives that demonstrate clinical excellence and innovation in ophthalmology. Dr Jackie Napier, Medical director ophthalmology at Bayer, said: “Following the success of the inaugural Ophthalmology Honours, we are delighted to be running the programme for a second year. Bayer is committed to recognising and sharing best practice amongst the ophthalmology community for the benefit of people with sight-threatening conditions across the UK. The awards identify exceptional initiatives that demonstrate clinical excellence and innovation in ophthalmology and recognise exceptional individuals who improve the quality of care provided to patients and the patient experience. Entry is open to anyone working in the field of ophthalmology in the UK. Submissions and/or nominations are welcomed from healthcare professionals, non-clinical staff, charities, patient associations, volunteers, patients. The closing date for entries is Friday 19th August 2016 so enter the awards today. Award winners will be announced at the Ophthalmology Honours ceremony, to which all short-listed entrants will be invited, on Thursday 1st December 2016. Download an entry form, find out more about the categories and judging process.